Barcamp Science 2.0 – Putting Science 2.0 and Open Science into practice! Surveys show that in recent years most researchers in Germany – and probably in other European countries as well – became accustomed to things like collaborating using Dropbox or Google Docs, looking things up in Wikipedia first, and in many cases, making their research results freely available by means of services such as ReseachGate or Academia.edu. When uncertain, many of them even know by now how to get content from subscription journals into their hand, bypassing both paywalls as well as library services; clandestine avenues like Sci-Hub are broadly discussed in mass media since at least 2015. Meanwhile, policy makers try to make sure that “openness” in scholarly communication not just happens accidently, but becomes mandatory through many kinds of public research funding. Based on these facts, you may ask if these two main movements towards openness (the pragmatic researchers, and the enthusiastic politicians) are enough, and therefore “complete open access to all research” is bound to happen anyway soon. Though we, the makers of this year’s Barcamp Science 2.0, see that there is still something missing. We ask, for example, if in the pragmatic rush of many scientists towards using all means of the internet in their research, dependencies stemming from the commercial interests of service providers may carry the risk of contradicting researchers own interests. Even in areas like data science, where services like GitHub are extensively used to make research in early stages available to all, it is often overseen that GitHub itself is proprietary, and therefore may not be the best choice to make sure your own data and applications stay accessible to all, on the long run, although there are already great open alternatives like self-hosted open-source-software GitLab. Or, to take another example: While everybody seems to talk about the upsides and downsides of the growing market of open scholarly journal articles financed through APCs (article processing charges), hardly anybody seems to take notice of Timothy Gowers’ and Terence Tao’s experiments in doing high-level (mathematical) research online, deliberately without publishing end results as journal articles. And what about policy makers’ influence? It will hardly come to the rescue for these kind of problems; policies will never be more than a framing, making sure that all (or at least most) of research results including some of the underlying data will make it to the public web, in some more-or-less-traditional publishers’ journals. The missing piece, though, is maybe cultivating open science in practice. For us, this includes experimenting in unrestricted ways with all kinds of applications, methods and services, exchange experiences in blogs and barcamps, discussing about what may be best tool chains and practices, and what is still missing, and thereby enable colleagues around us to make informed choices in the way they use the internet for their research. From the perspectives of academic libraries and other kinds of scholarly infrastructures – which were pretty well represented at last years’ Barcamp Science 2.0 in 2015- this is especially fruitful, since we need to learn about the needs of todays’ and tomorrows’ digital avant-garde of researchers. So, without further explanations, we hope you will find your way to the Barcamp Science 2.0! This barcamp will be, like you would certainly expect, yours. What are your ideas, questions, need for discussion regarding “putting open science into practice”? Let us know, either at the barcamp itself or before in our pad for session proposals. We will have plenty of 45-minute-sessions on every topic that comes up and garners at least some interest among the participants. 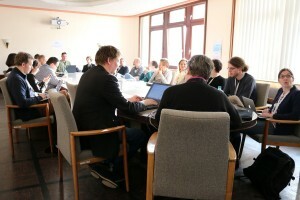 The barcamp language is generally English, but if appropriate, sessions may also be held in German. 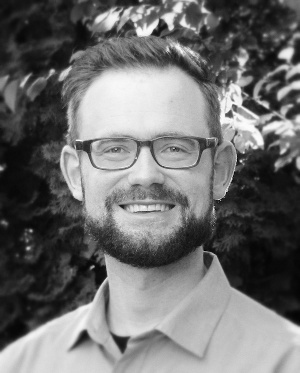 To help stimulate debates and ideas for the sessions Felix Schönbrodt will give a short talk. 02 May 2016, 9:30 a.m. – 6.00 p.m. Anyone can register for and attend the Barcamp Science 2.0 without cost. Participation is the key: everone who attends can contribute – by organising a session that offers room for subsequent discussion. You are also welcome if you just prefer to listen and to discuss. You can follow the barcamp on the web with the hashtag #s20bar. Blogposts are expressly encouraged. The programme will be decided spontaneously in the morning where everyone can suggest sessions. A majority vote decides which sessions will be held. You can prepare something or hold a session on the fly. The barcamp languages are German and English.